Ampres® - Chloroprocaine HCl is a local anaesthetic of the ester type, with a very short half–life suitable for ultra-short and short procedures due to a favourable evolution of the anaesthetic block with a very low incidence of side effects. In fact, Chloroprocaine HCL is the local anaesthetic with the lowest systemic toxicity. 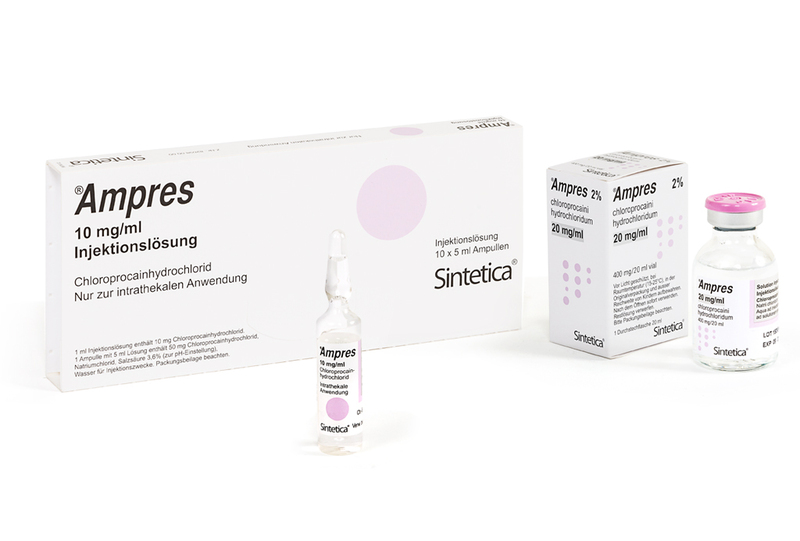 Ampres® is used, in appropriate doses and concentrations, for spinal anaesthesia, infiltration anaesthesia, intravenous anaesthesia, peripheral nerve blocks and epidural for emergency caesarian sections. For regulatory reasons we are not able to provide further details on our products on this website, but more information may be available on our Health Professionals website.